'But the government is thinking that if a law is made by it then it would be challenged in court,' says VHP. Indore: The Vishwa Hindu Parishad (VHP) has reiterated its demand for an ordinance on Ram Temple at Ayodhya, said reports on Monday. 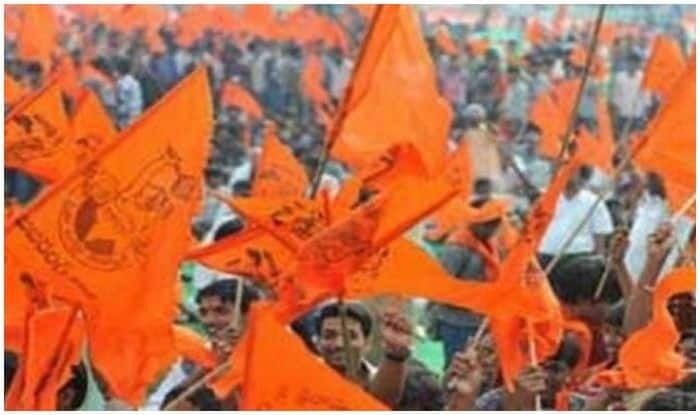 VHP chief VS Kokje is reported to have said that if the BJP-led government at the Centre makes a law paving way for the construction of a Ram temple at Ayodhya, it will surely win the upcoming Lok Sabha elections. “If the government makes law on Ram Temple, it will surely win the Lok Sabha elections 2019 but the government is thinking that if a law is made by it then it would be challenged in court,” said Kokje. Meanwhile, the Supreme Court has postponed the hearing in the Ayodhya title suit case due to the unavailability of one of the judges, Justice SA Bobde. The hearing was scheduled for Tuesday, January 29. The apex court had constituted a new five-judge Constitution bench headed by Chief Justice Ranjan Gogoi and also comprising Justice Ashok Bhushan, Justice Abdul Nazeer, Justice SA Bobde and Justice DY Chandrachud to hear the case. Kokje’s comments came on the same day as those of Yoga guru Baba Ramdev who said the government should take an initiative for the construction of Ram Temple. Ramdev’s reaction came amid growing clamour by right-wing organisations like RSS and VHP to bring an ordinance to construct the Ram Temple in Ayodhya. The Prime Minister has also clarified that any decision on passing an executive order on the issue cannot be made unless the judicial process is over.